The client, the dermatologist Dr Leuring, came into contact with Van de Velde through the painter Jan Thorn Prikker who himself contributed a large mosaic fresco on the wall behind the stair. This stair rises from a large hall on the ground floor through two curved sections to a landing on the upper floor. 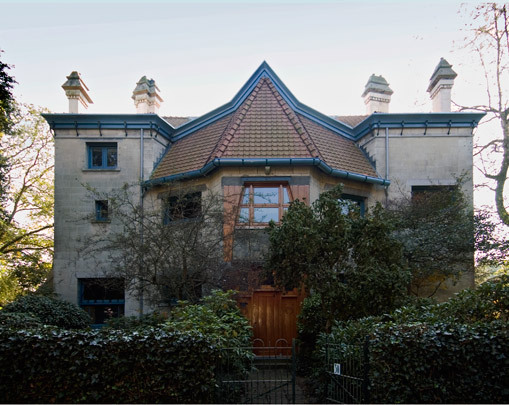 The Leuring house is one of the best examples of Art Nouveau in the Netherlands; the woodwork in particular is extremely fine and has suffered little over the years.